Trying to be arty, or something. Sometimes you just need to get out of the city. Do you ever feel this way? If so, I empathise. Despite having lived in urban settings for the majority of my life, I consider myself a country gal. Endless stretches of land make me happy and even the smell of cow dung makes me feel nostalgic for the four years I spent living on a hobby farm in my childhood. Despite having travelled to Melbourne quite a bit over the years, before moving to the city for possibly good(!) – I haven’t seen much of the Victorian countryside. That is, apart from an obligatory Great Ocean Road trip in 2015. Cue massive excitement at having a whole new state to explore. 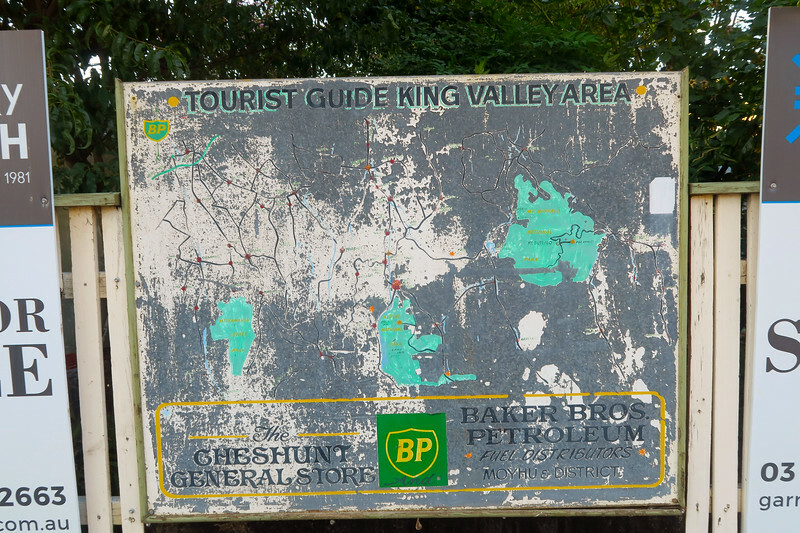 There are plenty of destinations to choose from, but I thought I’d kick things off with the King Valley, which is around a three hour drive from Melbourne. The King Valley is actually renowned for its production of this type of delicious, sparkling wine. Lifesaver, right? 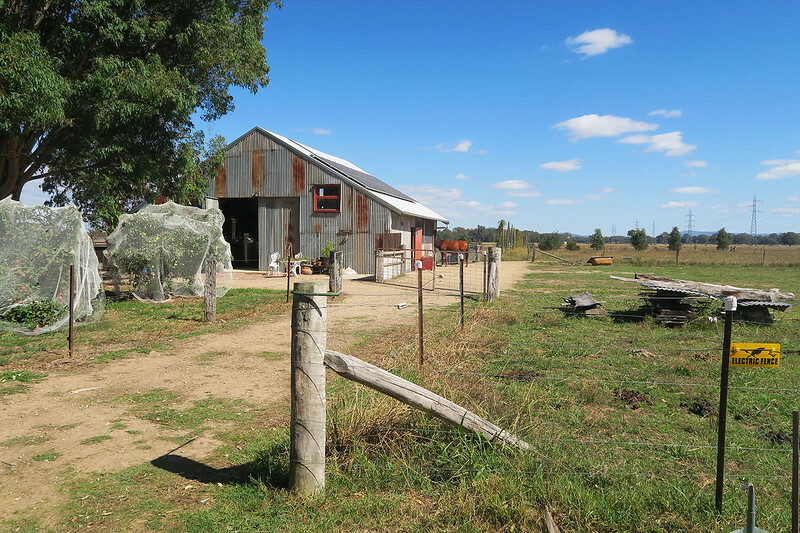 From the Gourmet Region of Milawa, you can journey down what is known as “Prosecco Road”, stopping at various cellar doors, breweries and distilleries along the way, sampling the fare that each place has on offer. It makes for a rather marvellously tasty (and somewhat exy!) journey. Ogling the goods at Brown Brothers Vineyard in Milawa. Australia is actually the fourth largest exporter of wine in the world, although that factoid is according to Wikipedia and so obviously must be taken with a grain of salt. Whatever the case, we have a heck of a lot of space and a low density population, allowing for wine producers to purchase a bit of land and essentially go nuts. Many of the better known wine regions are a stone throw (in Australian, where a three hour drive is “just down the road”) from state capital cities. So, you can easily squeeze in a couple of days here and there to see what various regions have on offer. 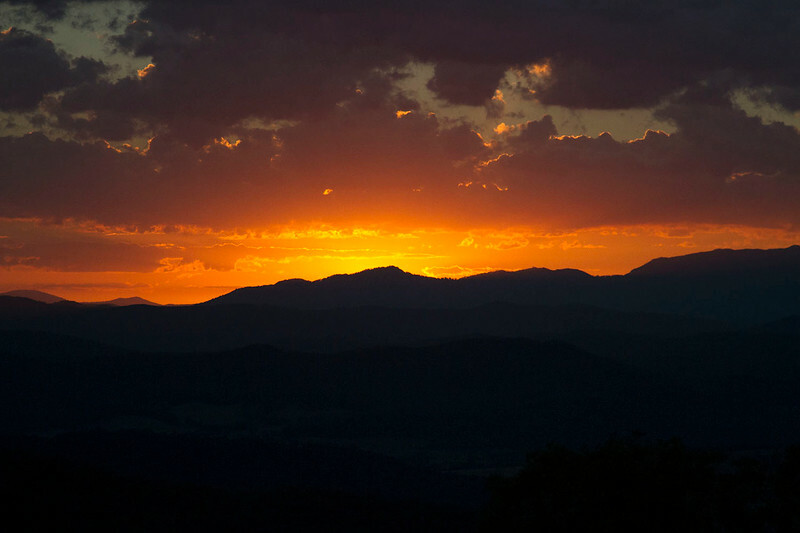 And I can tell you – a weekend wasn’t anywhere enough time to experience the true glory of the King Valley. 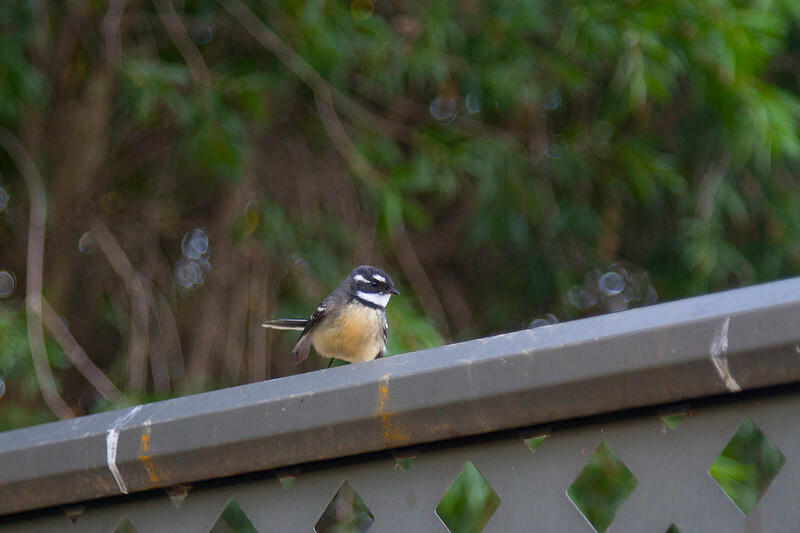 I think this little fella is a Grey Fantail. Whatever he is, he’s super cute (or she!). 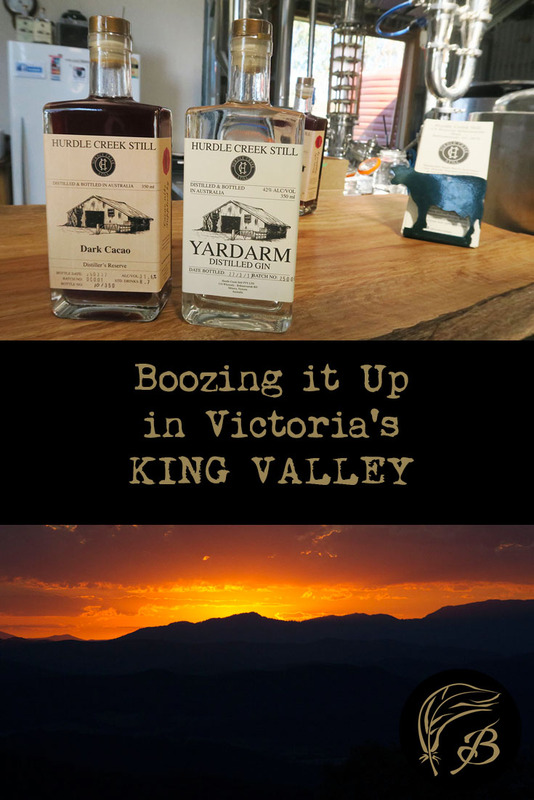 I had a pretty massive itinerary drawn up for our trip there, which involved visiting most of the major breweries, having lunch at Brown Brothers, dinner at Mountain View Pub and returning to Melbourne with a car boot full of wine and cheese. Starting off in Milawa itself where we’d spent the Saturday night at the local motel, we headed to the Milawa Cheese Co. You can’t have wine without cheese (well, technically you can but it is far less fun). In either case, it’s well-worth a visit. Staff will happily accommodate your requests for extensive cheese tasting and what we sampled was some of the best I’ve tried since leaving the UK (British cheese is incredibly underrated, especially the Stilton, yum yum). 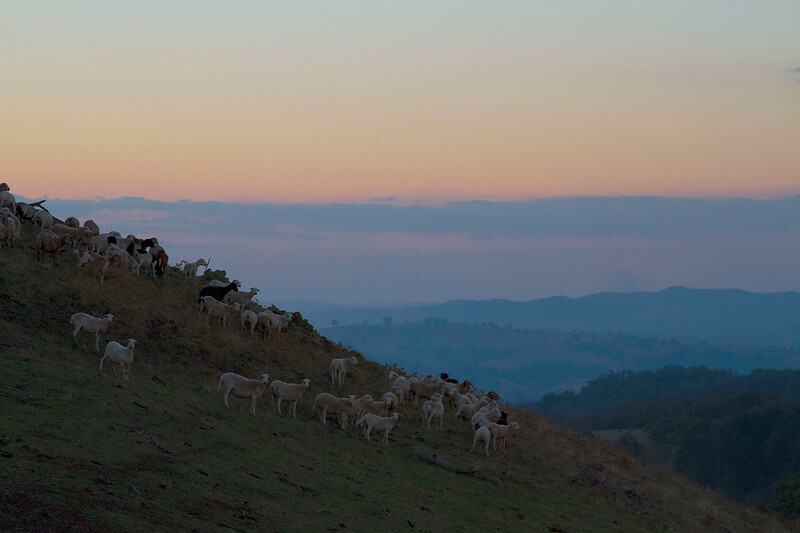 We walked away with a block of blue cheese made out of goat’s milk and ended up returning the next morning on our way back to Melbourne to buy another four kinds. Consuming the cheese later on that night. From there, I’d had plans to drive us along to at least one other brewery, before having lunch. However, we stopped to check out the mustard store in Milawa (where we found what was basically English mustard on sale, hallelujah) and got talking with some locals in the nearby antiques store. People in countryside Australia can be very chatty and friendly, depending on where you are at the time. Luckily the locals here fit that bill and started offering up suggestions for what we should do during our time in the region. We arrived empty handed. We left with these. 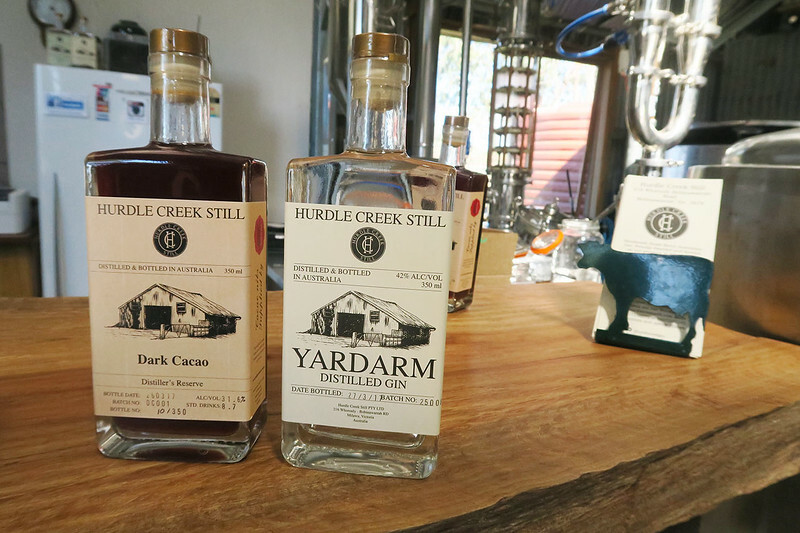 On their advice, we drove past Brown Brothers to Hurdle Creek Still – a small batch gin distillery. Owner Simon was on hand to greet us, along with his dogs. I’ve never thought of myself as being a massive gin drinker, but I now realise that this is quite simply because I had never sampled boutique versions of the spirit before. Goodness, was this gin delicious! We ended up purchasing two bottles – the run of the mill gin and special edition cacao flavoured brew – perfect, considering that Easter was just around the corner! We now had cheese, gin and mustard, but no wine. 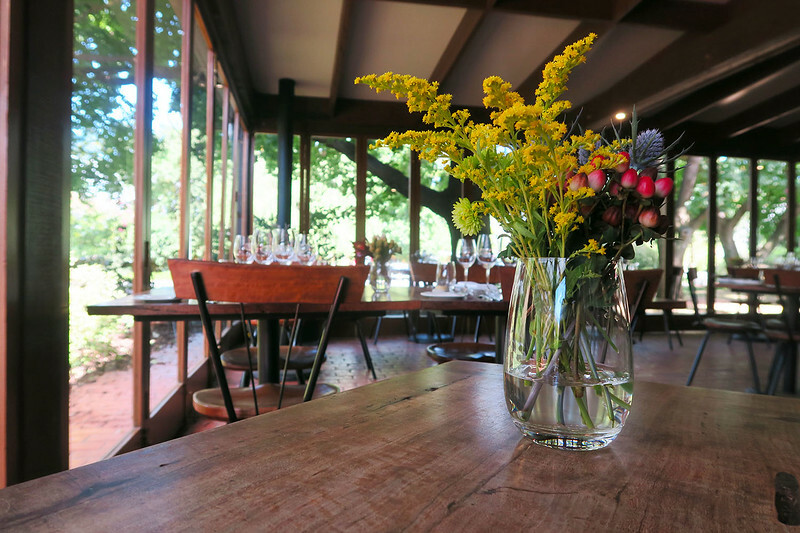 This was a situation that needed to be rectified immediately, so we drove back to the Brown Brothers Vineyards to try out their cellar door for ourselves, before feasting at their local restaurant, Patricia’s Table. 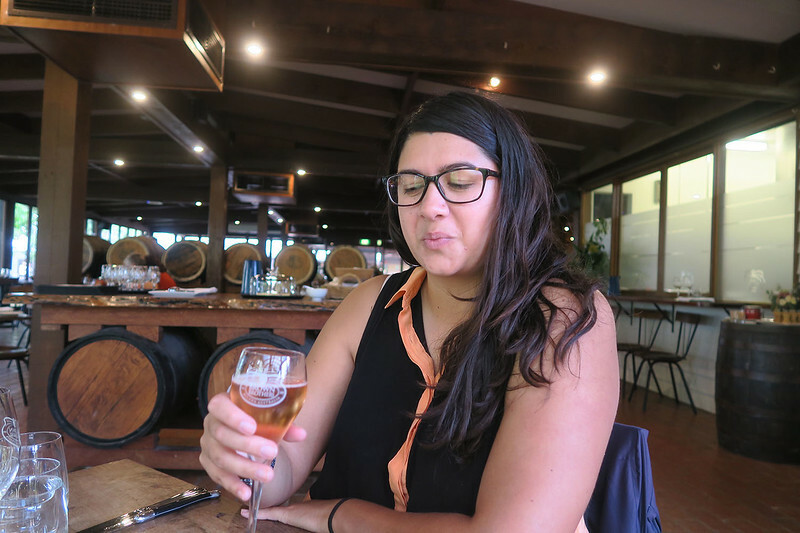 I haven’t been wine tasting since attending an ill-fated hens party in the Hunter Valley in 2010 and had quite forgotten what a fun experience it could be. 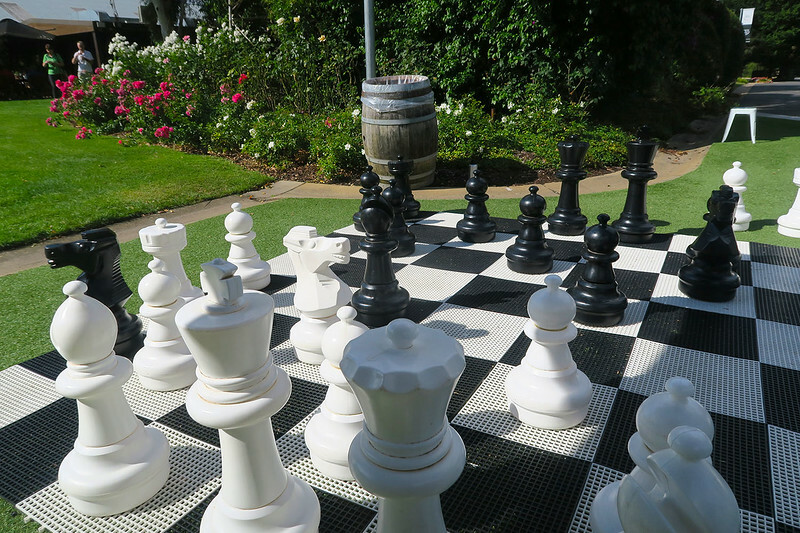 We were there on a Sunday, so the cellar door was busy, but staff were attentive and saw to us immediately. As I was driving, I had to be quite careful with what I could drink (and keeping in mind I’d already sampled a teeny bit of gin). Staring somewhat lovingly at my rosé. After much careful consideration (where I delicately sampled ALL of the sparkling wine), we walked away with a bottle of Tempranillo and rosé Prosecco, feeling quite pleased with our choices. It was a brilliant autumn day and we had some time to kill before lunch, so we lazed around on the front lawn in the sunshine. And played chess. I lost spectacularly. Lunch was… out of this world. The food was unpretentious, but incredibly tasty. As my fella pointed out, a place like Brown Brothers doesn’t really have to make the effort – people coming to the area will patronise the place, regardless. Yet the food was genuinely tasty and the staff, friendly. I would drive back to Milawa just to dine there again. 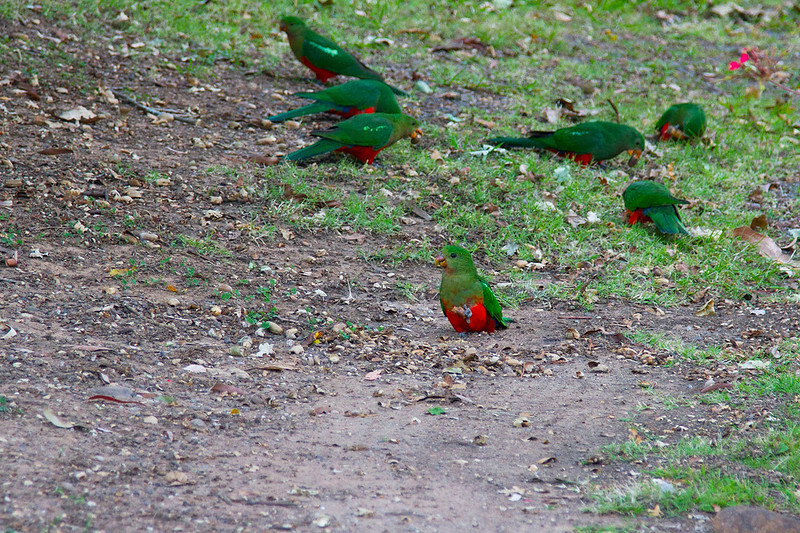 King parrots, mocking me before they flew away. I’d had plans to visit at least a couple more vineyards, but we’d already amassed an impressive amount of swag and time was getting away from us. We were staying at the very remote Yurt Alpine Resort, which I’d learned off from a fellow Aussie blogger (see article below for a more in-depth review). It’s basically a Yurt on top of a mountain at a local farm. Pretty neat, hey? I thought this sign was cool. 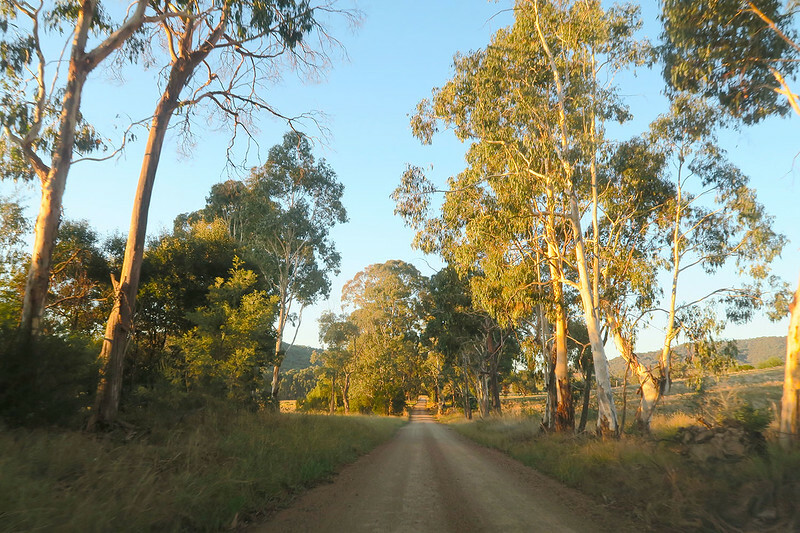 We drove out there with the intention of going onto the pub for dinner, or maybe even scoping out nearby Power’s Lookout (the hideout of famous Australian bush ranger Harry Power). However the road to the rental was bumpy and as I rarely drive these days, I wasn’t all that into the idea of navigating a dirt road, up an incline, in the dark. So, we decided to opt out of our pub meal, racing to nearby Cheshunt to grab some sangers and bread for a makeshift BBQ dinner. Failing that… well we already had wine and cheese. Luckily we made it there and raced back to the yurt (stopping along the way so I could try and fail to take some decent photos of King parrots), just in time for sunset. And what a sunset it was! Unfortunately, as soon as the sun went down a terrible wind picked up, rendering it near impossible to stay in the yurt’s outdoor area for more than a couple of hours after dark (and preventing our sausages from cooking for the longest time). We retired to the yurt to sleep for a few hours, waking up just in time for sunrise. I really didn’t want to get out of bed and face the cold, but the result was worth it. Then it was back in the car, with quick return trips to Brown Brothers and the Milawa Cheese Co for more wine and cheese respectively, before hot tailing it back to Melbourne. The yurt in the morning light. Australia is not renowned for its public transport, especially outside of the cities. I mean, when I lived in country New South Wales, my town was serviced by a train that travelled on through it once a day. You can catch a train from Melbourne to Wangaratta, the biggest town in the region. Yet then how will you travel onto Prosecco Road and sample all the delicious beverages? Your best bet would be to hire a car from Melbourne and drive out to the Valley (or hop in your own, obviously). Most of the trek is down the Hume Freeway, which can become quite monotonous after awhile. There are plenty of service stations to stop at along the way and do make sure to give yourself at least a half hour break. Stop, revive and survive and all that. The sunrise was quite lovely, too. Apart from the night of yurt living, we kicked back at the Milawa Motel for the first night there. Located right in the town centre, it was within cooee of a few boutique specialty stores (like one which only sold mustard), some local shops and most importantly, a pub. It was also a very short drive from there to many of the wineries in the area the next morning. Click here to see current availability and prices. 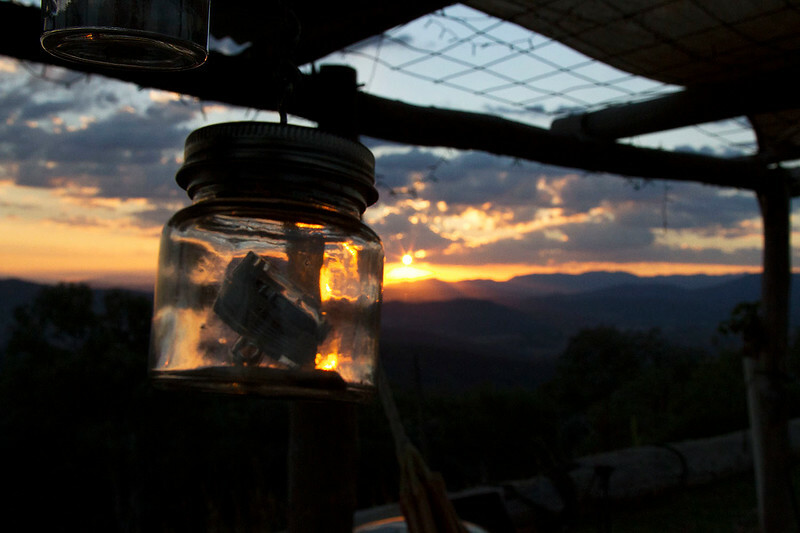 Looking for other experiences in country Victoria? Why not check out the Silo Art Trail? Have you been to Milawa? Or any other wine regions in Australia? Fancy checking out this area of Oz some day? Pin this post for future reference! You probably know South Australia has plenty of wine regions, and I have been wine tasting in most of them over the years. 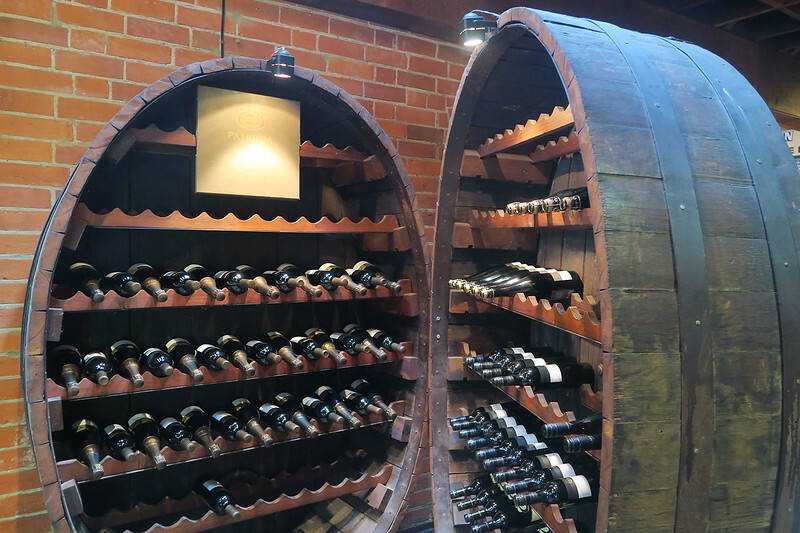 I have never been to a wine region in Victoria, but I think I need to get on it as soon as I am back in the country. Kings Valley looks like a great place to start. 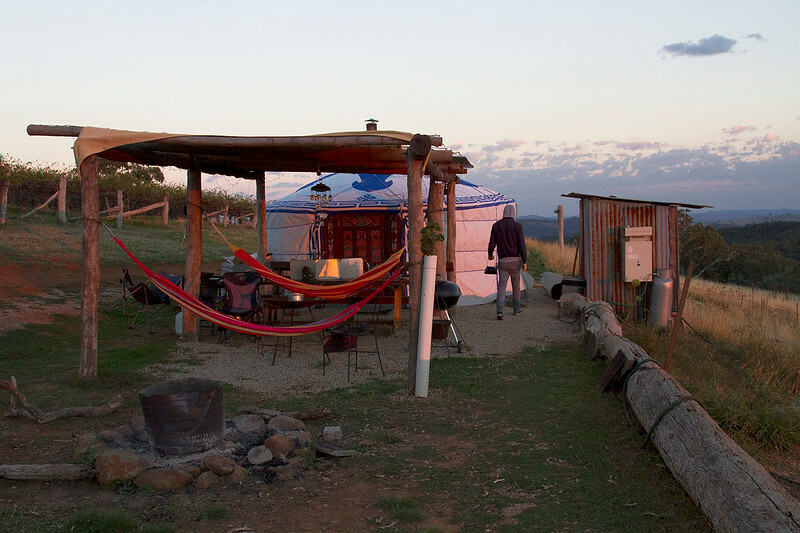 I want to stay in that Yurt, and anywhere that has wine AND cheese is my kind of place. Love the sunrise/sunset photos! Thanks Josie! Yeah you definitely have a wealth of choice – I’ve never been to any in SA! There’s so many in Vic too, I think I’ll easily be kept busy with them alone for awhile. 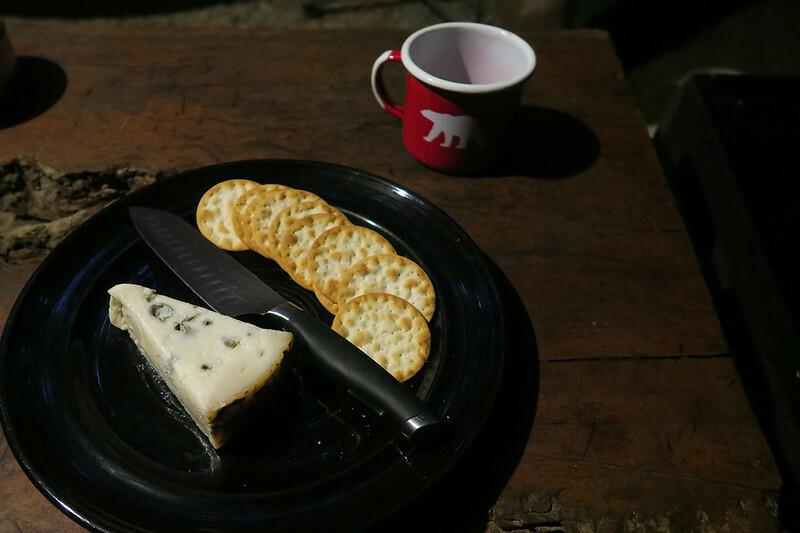 And yeah – anywhere that has good cheese gets a tick in my book, too! I’m not a wine tasting kind of girl (though cheese is – yum 😀 ) but staying in that yurt is definitely my kind of thing! That just looks absolutely fabulous! And oh my, the sunset and sunrise, gorgeous!! It was a great weekend and worth heading out that way just for the cheese!